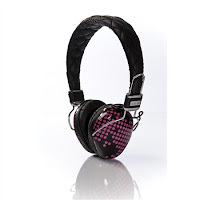 Get ahead of the sound technology curve and get your loved one the super stylish Audio Chi headphones - with a retro design, and futuristic sound quality, these beauties offer the best of both worlds. Plus, a pop-up store has just appeared in Prince's Square, which means the only problem you'll have is choosing which colour to buy. 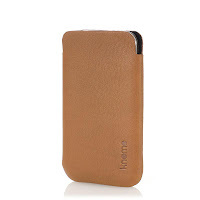 Knomo has introduced a range of iPod and iPhone covers that would work equally for men or women, but if you really want to splash out, you could go for the Apple range from Mulberry. Yes, my phone needs a wee £150 bag all its own. 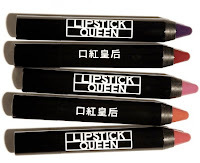 Poppy King, the Lipstick Queen, has introduced Chinatown, a new range of chubby lip pencils that cover lips in a translucent red, pink or orange hued sheen. The woman at Space NK assures me the coverage lasts for ages. Wine is always a great gift, if you know that the person you're giving it to does like it. For great wine advice, visit Snooth, a sort of online resource/community/shop for people who love the vino. There are all sorts of articles on different varieties of wine, so you're bound to find something for all tastes. Astley Clarke is the place to buy beautiful, unique, designer jewellery. This green fluorite nest ring or these pink freshwater pearl stud earrings should do the trick. If you're buying for a man, how about these red chalcedony cufflinks? But watch out gentlemen, the ladies will be sneaking these onto their own french cuffs. One of Christian Louboutin's Barbies is finally available on Net-a-Porter. Catsuit and Louboutins included. The fascinating Gentlemen of Bakongo should be on the bookshelves of fashionable men and women alike. This book chronicles the men who follow the Congo's 'religion of clothing'. Alternatively, you could pick up The Sartorialist, the book of the popular blog, which shows many people strolling about looking effortlessly fabulous. 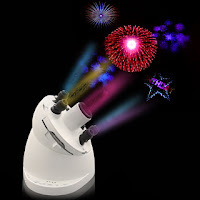 The worlds bestest useless gadget has to be the Sega indoor fireworks projector. Set this baby up after Christmas lunch and ooh and ahh from the comfort and warmth of your own sitting room. It creates a spectacular show with no adverts!